EDIT : Its from the early 2000's I believe. There is also a second part to the article, but I could not find it. Lots of misinformation in this article. I stopped reading after the author misidentifies the origins of the name Whyte Laydie. I think the author's overall point is valid, but it's hard to take the article seriously when it is so poorly researched. csacwp Despite John's misgivings about the OTH article, I thought it has interesting information on the largely unacclaimed women pickers of past decades. The discussion of the women that men learned from is new to me, but it is unbalanced. We don't know how many pickers learned from men. Women may have been a major factor in keeping tradition alive--or a minor one. It's a tantalizing question. 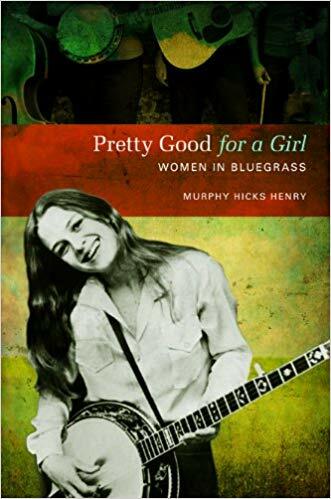 I find it curious that males have outnumbered females in banjo picking in recent decades--say the last 50 years or so. I think that is changing some more recently, more so in oldtime banjo than in bluegrass. I posed this gender bias question on BHO some years ago and was met with much denial and argument. The OTH article makes me wonder if the predominance of men 5-string pickers is a misperception or a recent development outside the Appalachian tradition. There were numerous famous female professional banjoists and teachers in the late 19th and early 20th century. Heck, the first woman ever to record ragtime was the Edison recording artist and banjoist extraordinaire Shirley Spaulding. I was recently reading a book about the Innu People (First Nations from Canada).. And basically the men always liked to brag about their hunts (We shot a Caribou that was THIS big and so on and so forth), but like always, its always the women who hold down the fort when the men were gone. It was during this time that they would teach different skills to the children. I like to believe that its kind of the same idea with old time music. I'm always fascinated when men talk about women. My experience has been, neither gender listen to women the same way they do to men. What is the cause of this gender bias, I cannot say. I do know, I say something, I get ignored. A man says it, and everybody jumps up and applauds. I've seen this everywhere I've gone my entire life. I'm inclined to believe, talented women have been, are, and will continue to be out there, and will continue to be ignored, or passed over for the bigger draw, ie a man. My first teacher is on the cover. My second was Lynn Morris. I've been wanting to read this one for a while now. is it any good? Excellent. Very honest. If you have a son or daughter thinking about becoming a professional bluegrass musician, they should read this. Unvarnished truth. It's a great approach by Murphy because, by telling it as it is, you develop an even greater appreciation for the challenges these ladies faced, which makes their accomplishments all the more impressive. At the same time it's not whiny at all and there is no male bashing. Very well written. None of us would even be here listening to, and playing music were it not for women. Every banjo player I ever met had a mother. Music is no different for women than other aspects of our society. Take a look at photos of symphony orchestras before the 2000s. Almost all men. When some orchestras began doing blind auditions (behind a screen) suddenly a lot of women were chosen. Academics is similar. All the professional academic societies are trying to deal with the dearth of women in most of the areas of study. Same on Wall Street, law firms, etc. Since half the population is female, not developing and rewarding talent in that big a segment is economically illogical -- except for the result of less competition for us guys. I remember, after Whetstone Run, when Lynn Morris could not get jobs (while her boyfriend/fiance at the time, Marshall Wilborn, was in hot demand). The musicians knew how incredible she was on both banjo and guitar. Fans loved her. But she couldn't get a job in someone else's band. Lucky for us she didn't. Rather than playing someone else's music their way, she essentially started her own super group, gave us a bunch of great albums, and inspired a lot of young women, who have kept the music relevant and fresh. Women have an equal place and parity in the oral transmission of traditional music. That their role is often not acknowledged does not in any way change the evident reality. In some repects the domestic space, that was more the preserve of women in past generations, is of critical importance and had a greater influence in regard to the transmission of traditional song from children's lullabies to balladry. Women also had a far greater input on the education of their children of both sexes. Taking just one study area: If we look statistically at the gender of songsters and ballad singers among working people transcribed in Somerset c.1900 (most of whom were aged 60-80) the ratio is approximately even male-female. In the Victorian period paid labour was highly gender-specific. Yet singing while you did that work, regardless of it's gender-specificity, was common to both men and women. Song raises the spirit and is a counter to monotonous toil. It also creates a bond with others doing that same toil. To confuse women's relationship to professionalism with their role in oral transmission of traditional music is a gross misunderstanding. And one that risks demeaning and minimising women's actual importance and central role. No one seriously doubts the importance of women in all facets of cultural transmission. Whether women were encouraged, or allowed, to play instruments (in public) that even men ofttimes were discouraged from pursuing by religious and other conservative voices is another matter. We're on much more solid ground with songs (as opposed to instruments) attested to by the many collections of songs from women both here and abroad. The caveat is that most collectors until recently were men and that often creates barriers. Until women began collecting songs from the Ozarks much of its great repertory of bawdy songs had not been recorded from women. cbcarlisle Is there a publication on those Ozark songs collected by women? I know of the Hunter collection, the Randolph books, and Mary Parlor's archive at the U of Ark. I'm not sure what you are referring to, but I'd like to know. Lew H ...To be honest this tidbit dates from my undergrad days some half century ago. I seem to recall it was a name I recognized at the time - so, not a beauty-shop collector. I recall not being very surprised at all, remembering my Southern maiden aunts and their reaction if some man had asked them to sing a bawdy song. But, likewise, I could imagine the old gals whooping it up when alone. Surely, somebody has studied folklore since the 60s. cbcarlisle Thanks! When Hedy West visited my college campus and did a small concert, one guy kept making off color remarks and she sang a bawdy song to get him to shut up. All I remember of it is that it had the phrase, "take a man between my thighs." The song expressed anger toward me, but she sang it very sweetly.